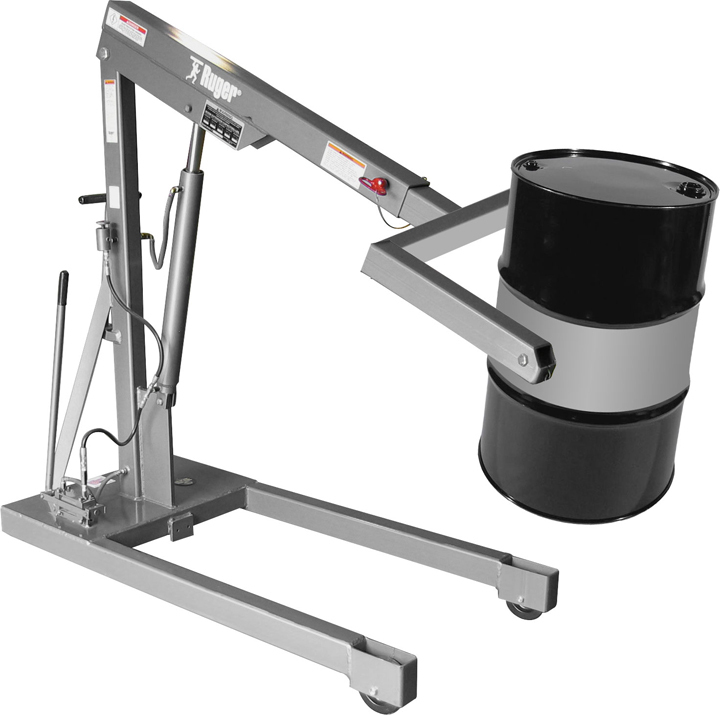 Ruger Stainless Steel Drum Dumpers are carefully designed to provide a wide range of options. 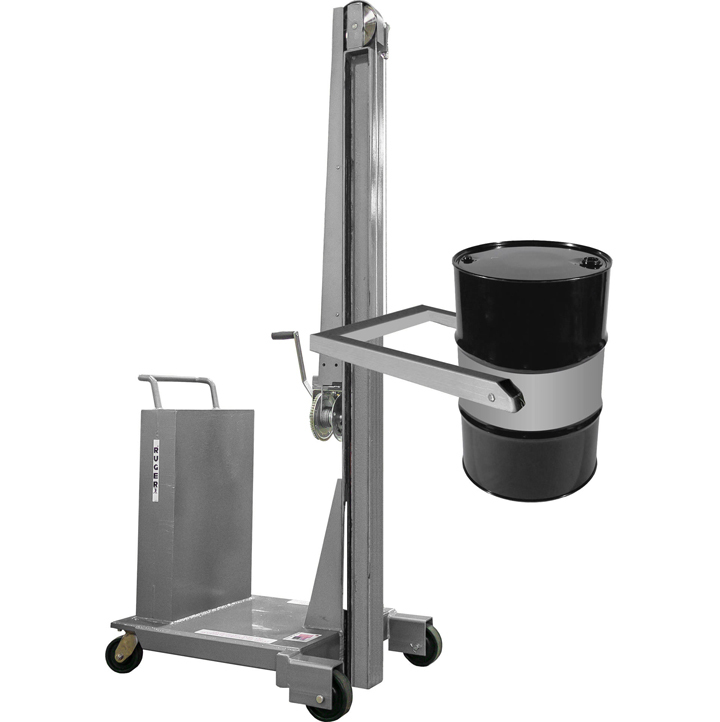 Experience quick, easy, precise, safe drum dumping in food processing, pharmaceutical, chemical and clean-room facilities with the Ruger Stainless Steel Drum Dumpers. RC-1/2KDD 1,000 lbs. 47-5/8" 39-1/8" 51-1/8" 44-1/8" 119-3/4"
HP-1/2KDD 1,000 lbs. 51-1/2" 47-1/2" 88-1/2" FLOOR 151-3/4"
HP-1/2DD 1,000 lbs. 31-1/2" 41" 54" 20-5/8" 106-1/2"
HP-1/2DDR 1,000 lbs. 31" 42" 54" 21-7/8" 108"
HP-3/4DDR 1,500 lbs. 33-1/4" 45" 86" 11-7/8" 143-1/4"
HP-1DD 2,000 lbs. 32-1/2" 45" 86" 10-1/2" 141-3/4"
FP-1DD 2,000 lbs. 49" 45" 69" 31" 153-5/8"
FP-1DDR 2,000 lbs. 34" 46-1/4" 87-1/4" 11-1/2" 143"
capacity and are ANSI Z.535 compliant. Companies that require safe, dependable Drum Dumping involving a wide array of materials in regulated areas, turn to Ruger Industries. 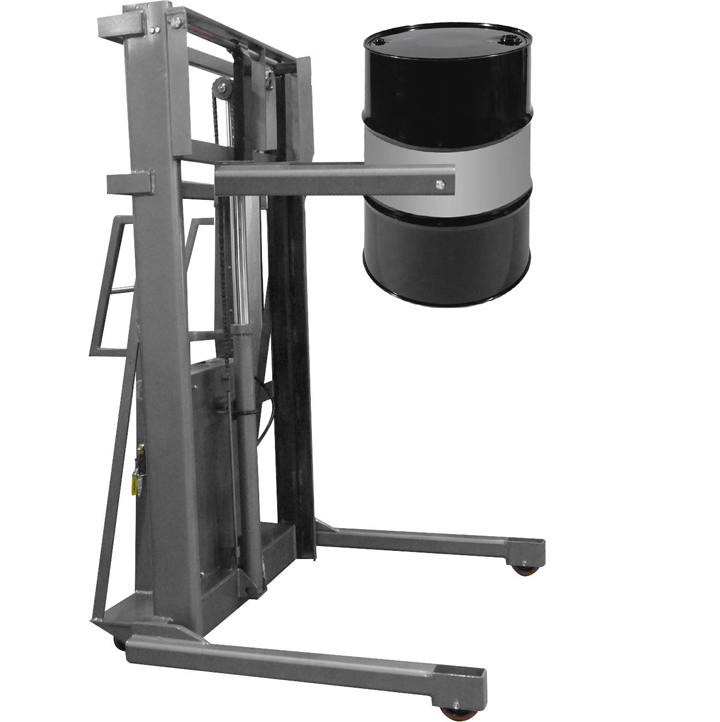 Our experienced engineers can design custom options for our Stainless Steel Drum Dumper that will meet almost any need you may have.